Two names for one thing, thats how many people understand the difference between Amazon’s Alexa and Echo. In this brief article I will explain the difference between the two. According to Amazon’s Echo website, https://www.amazon.com/all-new-amazon-echo-speaker-with-wifi-alexa-dark-charcoal/dp/B06XCM9LJ4, Echo is a hands-free smart speaker that enables the users to control it with their voice. While Amazon Alexa is a smart voice service that can translate voice commands to text, comprehend it, and execute those commands. Such commands include but not limited to; playing music, getting the weather, making calls, and answering general questions, but most importantly, it can understand you when you ask “her” to place an order for you. Amazon Echo speakers are equipped with Alexa smart voice service, and that’s why it is called a smart speaker. Take Alexa out, and it’s a “dumb” Bluetooth speaker. In addition to that, Alexa is a service, which means that it can be added to other devices beside the Echo to make them smart. Most of these devices are Amazon devices, such as the smart speakers Echo, Echo dot, and the smart displays such as Echo Spot and Echo Show. But also, other manufacturers can license the services and add it to their own devices, and that is the case for many more, the most recent one is Facebook’s Portal smart display (https://portal.facebook.com), Ring video doorbell (https://portal.facebook.com), Ecobee thermostat (https://www.ecobee.com/ecobee4/), and some smartphones like LG. The list of all Alexa enabled devices can be found here: https://www.amazon.com/Amazon-Echo-And-Alexa-Devices/b?ie=UTF8&node=9818047011 Companies and developers can add Alexa to their devices and application, and all that information is available at Amazon’s Alexa Developer website: https://developer.amazon.com/alexa, Ring video doorbell (https://portal.facebook.com), Ecobee thermostat (https://www.ecobee.com/ecobee4/), and some smartphones like LG. The list of all Alexa enabled devices can be found here: https://www.amazon.com/Amazon-Echo-And-Alexa-Devices/b?ie=UTF8&node=9818047011. 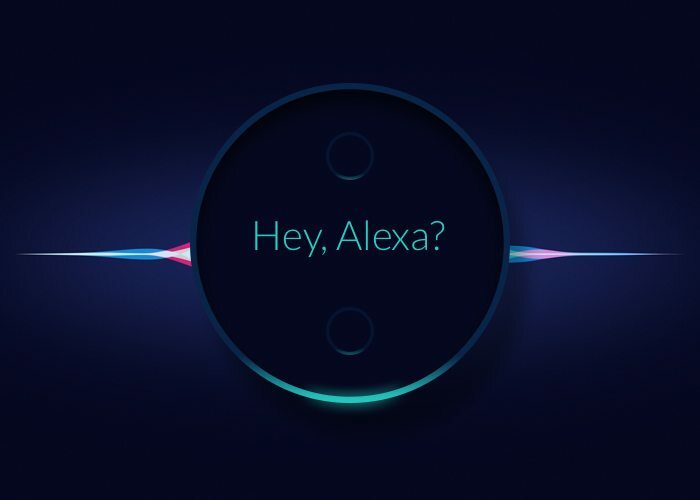 Companies and developers can add Alexa to their devices and application, and all that information is available at Amazon’s Alexa Developer website: https://developer.amazon.com/alexa.